Despite their often dangerous and unpredictable nature, landslides provide fascinating templates for studying how soil organisms, plants and animals respond to such destruction. The emerging field of landslide ecology helps us understand these responses, aiding slope stabilisation and restoration and contributing to the progress made in geological approaches to landslide prediction and mitigation. 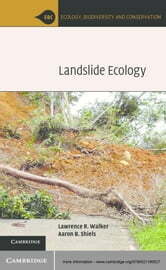 Summarising the growing body of literature on the ecological consequences of landslides, this book provides a framework for the promotion of ecological tools in predicting, stabilising, and restoring biodiversity to landslide scars at both local and landscape scales. It explores nutrient cycling; soil development; and how soil organisms disperse, colonise and interact in what is often an inhospitable environment. 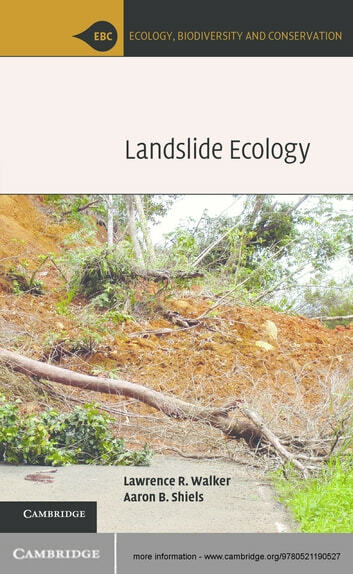 Recognising the role that these processes play in providing solutions to the problem of unstable slopes, the authors present ecological approaches as useful, economical and resilient supplements to landslide management.